Jayla Griggs (B.S. Music Education, minor in Voice, 2015, M.M. Music Education, 2017). She taught music in the Pittsburgh Public Schools District and Hillcrest Christian Academy in Bethel Park. 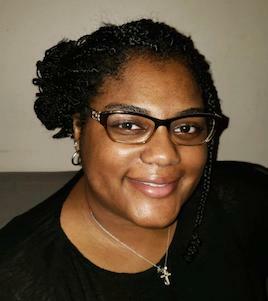 Jayla recently began teaching at the collegiate level in the Spring of 2018 at Community College of Allegheny County - South Campus, as an adjunct music professor. She also gives private voice and piano lessons. Additionally, Jayla is the music director and organist at Central Baptist Church in the Hill District. A life long pursuer of education and music, Jayla anticipates obtaining a doctoral degree in the next few years.